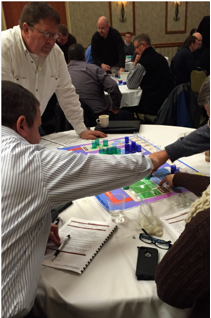 Business Reality 101® is a comprehensive board-based simulation that takes a realistic look at the complexities of running a modern day distribution company. The ultimate goal is to allow the employee base to gain a better understanding of how the business works, it’s strategies and operations and how they individually and collectively drive value for the organization. The simulation is designed to be run in one day.